We hear many complaints about squirrels in the attic. This cabin desperately needed squirrel control. 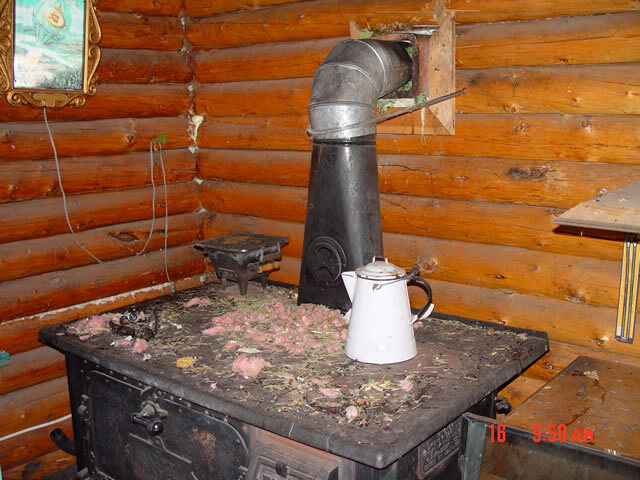 Squirrel droppings and mess did terrible damage to this cabin. 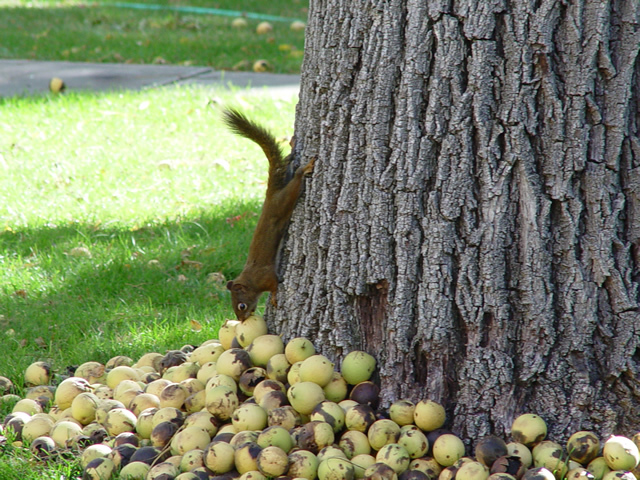 Squirrel problems are not limited to structures; they can also make a mess in the yard. We know how to effectively get rid of squirrels. 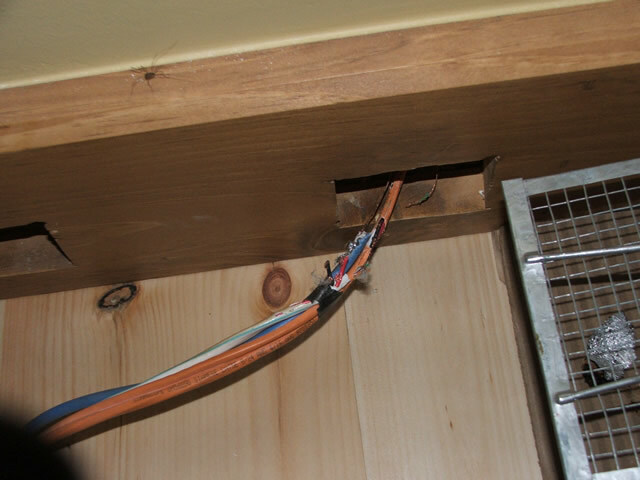 Squirrel damage can be dangerous when it involves electrical wiring. Fire potential increases dramatically with pest animals around. 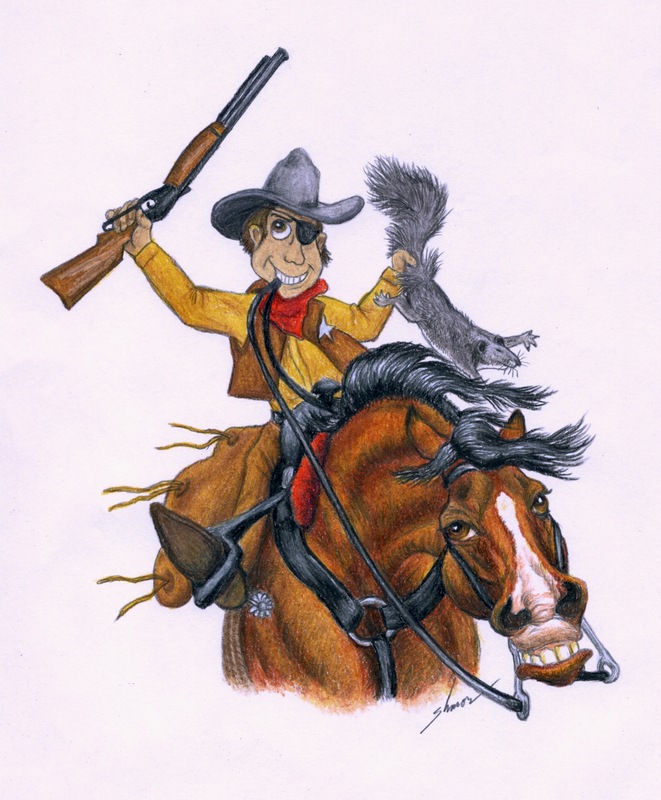 Contact a professional squirrel removal specialist in your area. Squirrels on TV are friendly, cute and smart. Think of the fluffy-tailed critter under the prince's hat in ï¿½Sleeping Beautyï¿½, or Rocky of ï¿½Rocky and Bullwinkleï¿½. 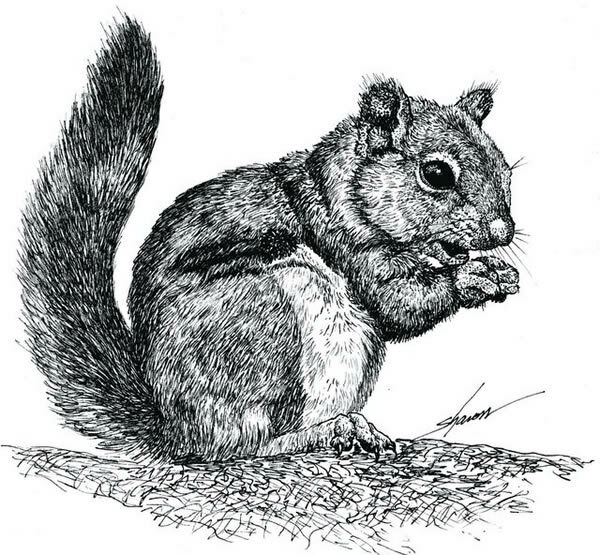 If you've had much real-life experience with squirrels, you know that sometimes in real-life they are also friendly, cute and smart. However, they get to be a lot less cute and a lot more irritating when they take up residence in your attic or wall , tear things up, and leave squirrel droppings everywhere. 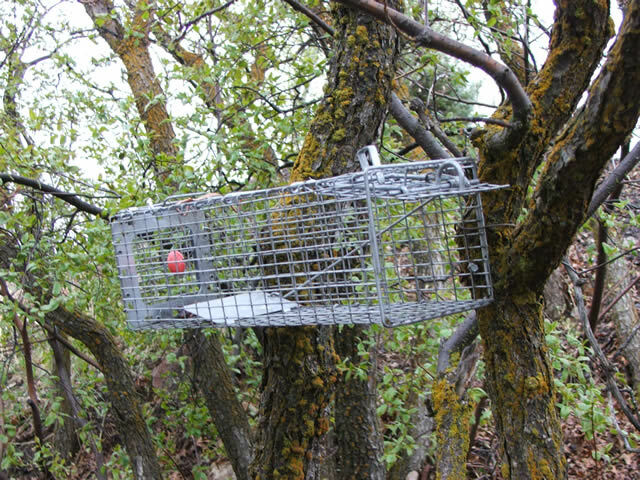 Fortunately, we have created a network of wildlife trappers that anyone can access to locate a professional animal control technician near them. 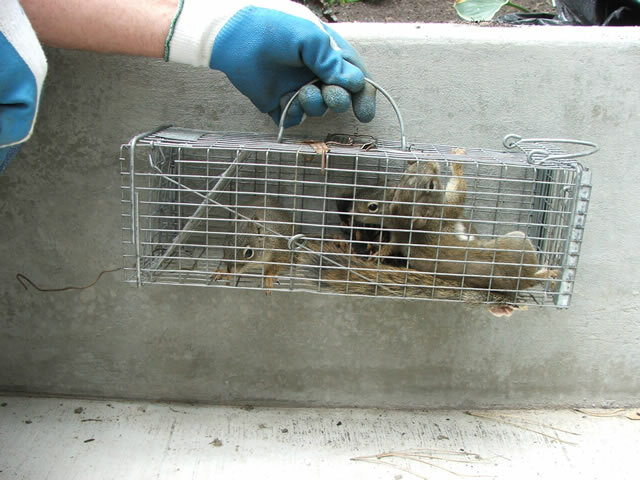 A good professional trapper will know how to get rid of pest animals safely, humanely, and effectively. 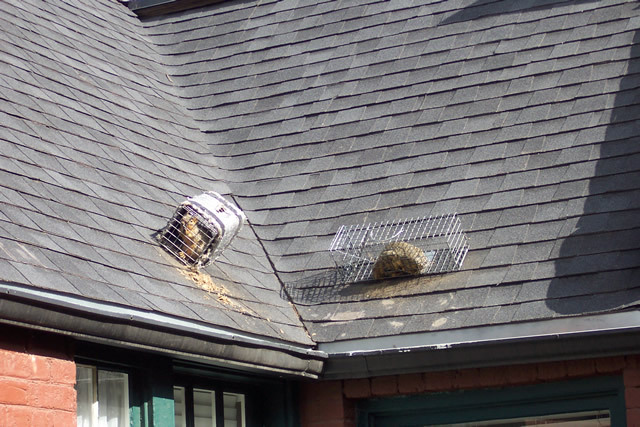 We get calls all the time to remove animals from attics, chimneys, and walls. Squirrels enter human homes looking for shelter, food, warmth, and a nice place to raise their young. They are not usually aggressive and do not enter homes looking to attack people. They just want free rent! It is possible for rodents to carry rabies and other diseases, but that is not often the case. Most rabies cases come from bats. 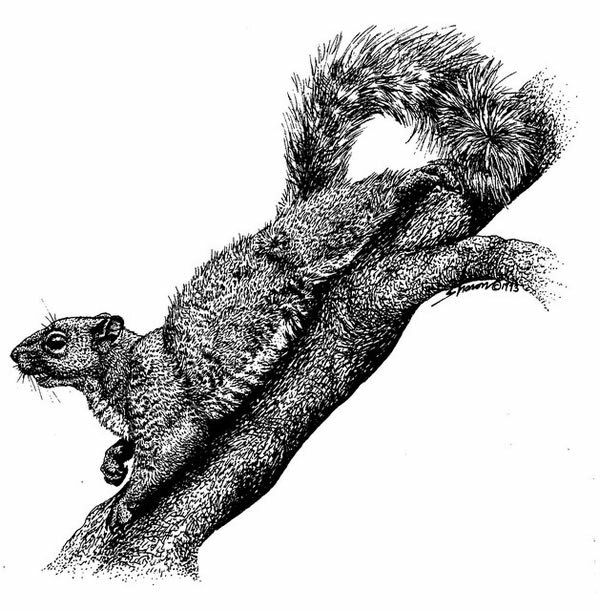 What frequently happens is that the homeowner is aware of one or two squirrels , but does not know about the others, which may include a nest. So his attempts at pest control leave some animals sealed out while others are sealed in. Then Mama comes back and finds the access to her babies and family is gone. Now you have a squirrel who not only likes your attic, you have one that is desperate to get into your attic. A stressed out, irritated animal will cause much more damage to your home trying to re-enter than it ever did just going in and out. Plus, the squirrels in the attic are trapped inside and freaking out. Animals will panic, just like people do, and can really rip up your woodwork, soffit, or stucco from the outside, or whatever is in your house if trapped on the inside. And, if Mama is not successful at breaking her way back in, then you've got a bunch of little babies who will wiggle all around the attic and then die, leaving a different kind of smell and messï¿½that of dead animals. Squirrel control is done best when the trapper is well trained and has the proper tools. In some states, it is illegal to poison squirrels, and removing them requires a nuisance wildlife control permit and a trapping license. These requirements are beyond most homeowners, but they should be easily met by a professional who knows what he is doing. Our trappers have excellent equipment and years of expertise that make us well qualified to handle almost any wildlife control situation. 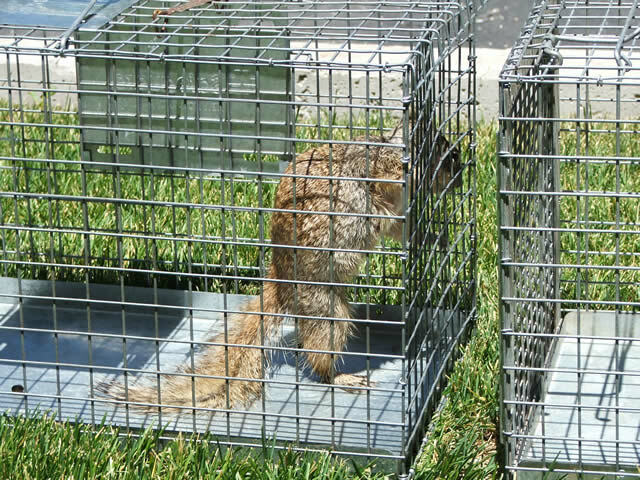 We have been getting rid of squirrels for years, and we know how to catch the mother and then use her to safely and effectively catch all the babies and get the entire family out at once. Our clients are always amazed when we do this, and after seeing it they all agree that this is the only way to do squirrel removal. In addition to getting the live animals out, we also remove dead animals, deodorize, sanitize, and can treat for mites, fleas, or ticks that the critters may have introduced to your home. After ensuring that all the animals are out, we can seal off all entry points to prevent future access, literally inspecting every inch of your foundation, roof, utility entry points, etc. Of course, in an ideal world wild critters would never have invaded your home to begin with. Why would they come into people's homes anyway, when the world outdoors is so big and plentiful? There are really only a few basic reasons. 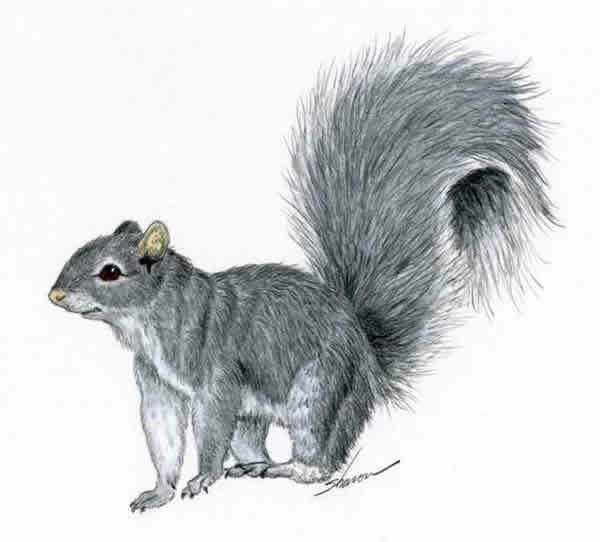 Occasionally animals enter homes on accident, such as a squirrel falling down a chimney or a bird flying through an open window. But most of the time animals enter buildings because human homes abound in food, shelter, and nice places to raise babies that are warm and comfortable. Your home is more appealing than a tree for warmth and comfort for sure, and most homes have multiple food sources that rodents can get to. Part of the problem is removing the animal, and the other part is removing access to your home and the creature comforts they desire. This process of cutting off access is what I refer to as exclusion, and a quality exclusion job is what you need to keep the problem from recurring. 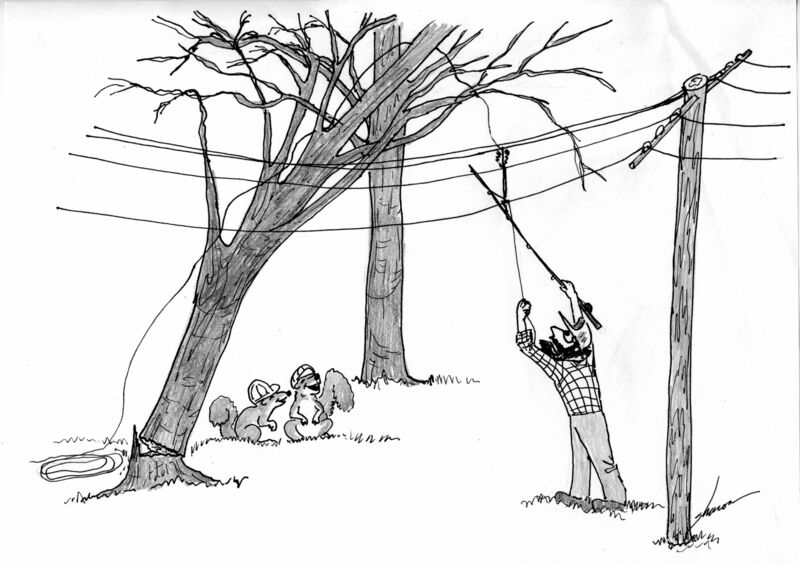 The best way to get rid of squirrels and keep them away is to hire a professional. It is worth the money! When we fix a job that someone else did wrong, either the homeowner or some other exterminator, it can be very expensive. It costs more to find the dead animals that were accidentally trapped inside, remove them, control the odors and bacteria, replace insulation, etc., than to catch and remove live animals. The same job, if done correctly from the beginning, could have been much less expensive. Of course, prices vary as widely as conditions do and animals are highly unpredictable, but we will absolutely do the best we can for you. 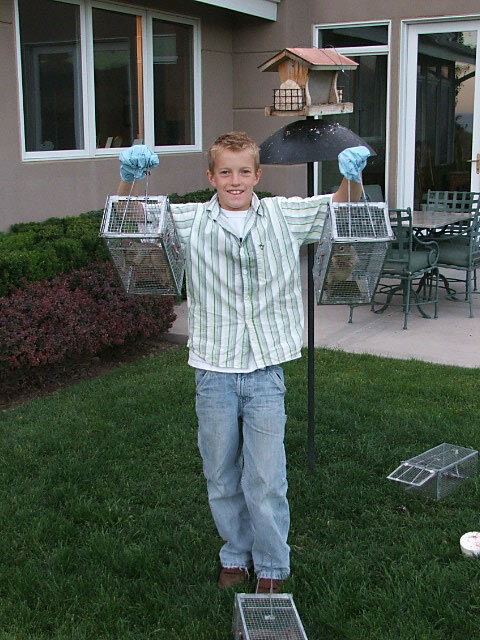 We have several methods of trapping and excluding squirrels , rats, mice, raccoons, you name it. We know from experience that every job is unique. Ground squirrel control is different than flying squirrel removal; critters in the attic are different than those trapped inside a wall. We have provided expert animal control services for many years, and have experienced great success in this work. 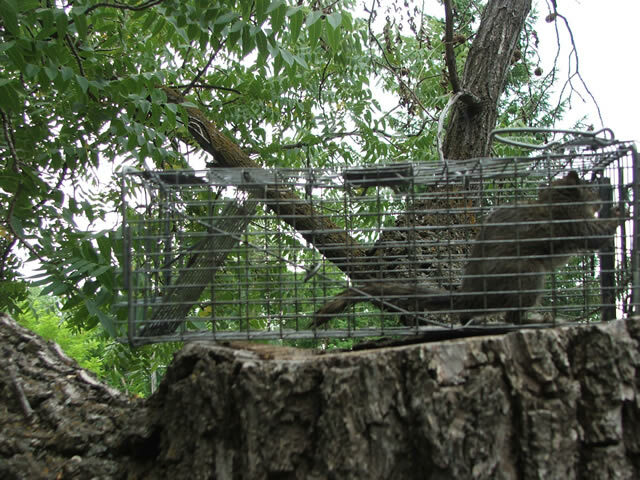 We usually use live traps for squirrels so that we can safely relocate them far from the problem area. There are times when we have to euthanize an animal, such as when it acts sick or is dangerous or when local regulations require it . Whatever methods we use, ou r extermination services are always humane, and we do our best to comply with the law. People often ask us how to poison squirrels. Frankly, even in areas where this is legal, we very rarely recommend that anyone take that option. But when it is necessary, first it is important to eliminate the current food supply. Once hungry, they are drawn to the tastes and smells of the poison which comes in many different forms. When using rodenticides, it is extremely important to ensure that the bait is located safely away from children and pets, and we have professional, tamper resistant tools for that purpose. One advantage of squirrel traps is that they do not introduce the dangerous chemicals into your environment that poisons do. A big disadvantage to killing squirrels by poison is that by the time the animals die, they could be anywhere. If they can get into your home, then you have to worry about finding the decomposing bodies to remove them. This can be extremely difficult and expensive if the animal chose an inaccessible place, like inside a wall or ventilation system. On top of this, of course there is the unbelievable stench in your home or business and all the germs to consider. 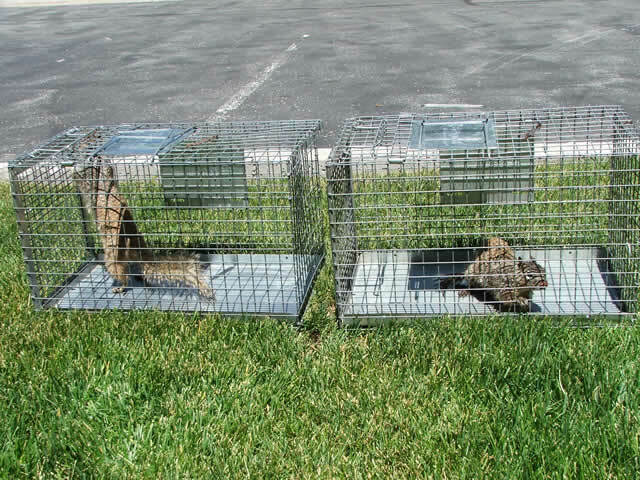 Believe me, if the animals can go in and out of your house, trapping is 100 times better for all parties! We have perfected our trapping techniques. To find out more about what Allstate Squirrel Control can do for you, call today . 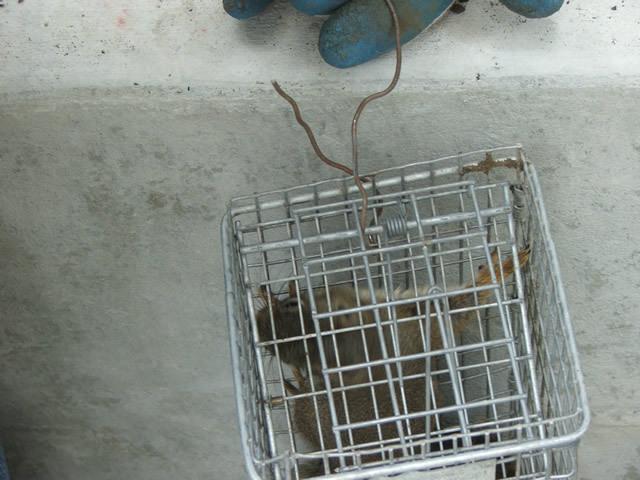 We also remove rats, mice, bats, and other nuisance animals, humanely and effectively. Let us begin helping you with an inspection of the problem area and a proposal for the best results. Your local animal control does not provide these services, but we have a solution that is right for your situation and safe for your children and pets. You may send us 5 to 10 digital pictures of your squirrel problem and we will give you a FREE cost estimate over the phone. For fastest services, call us today at . Prices will vary depending on the severity of the problem and on the time spent on the job. 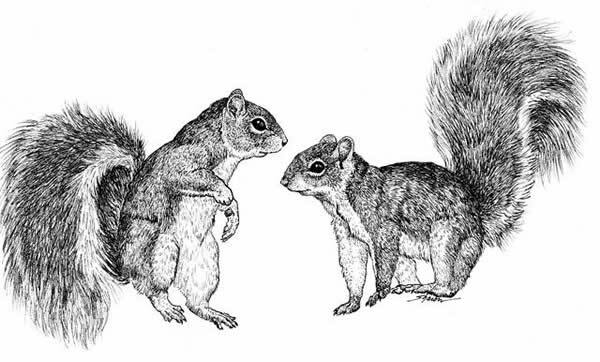 Remember, squirrels can be unpredictable animals. Every infestation is unique and our solution will be custom fit to your situation. Check with your insurance for coverage. Read more at our Squirrel FAQ. We also offer expert coaching services for a fee, so you can get rid of squirrels yourself. We can even ship the necessary traps and products to you. 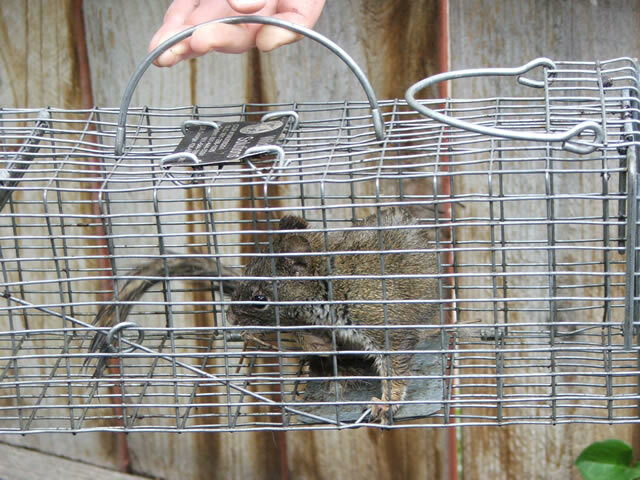 Our trappers are experts at squirrel removal. We offer complete squirrel pest control. 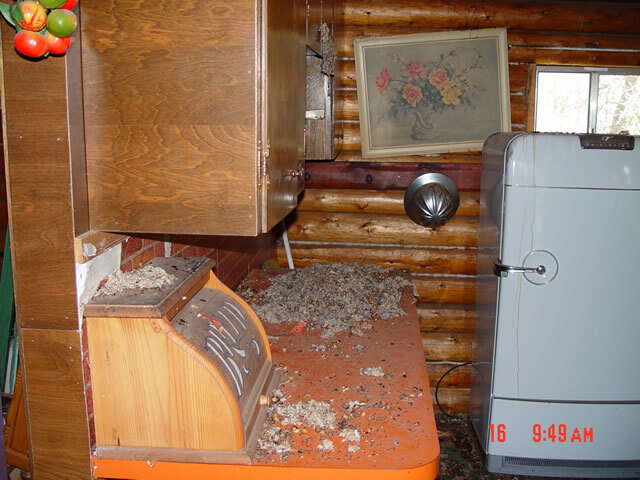 Experience has taught us everything there is to know about pest squirrel removal. 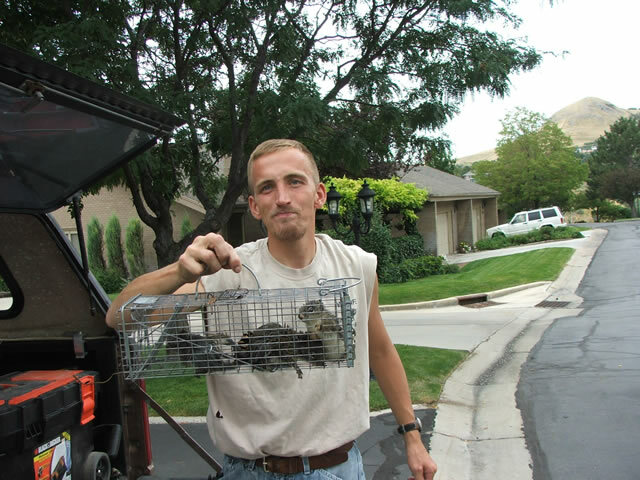 We remove squirrels from attics, chimneys, fireplaces, walls, ducts, vents, vehicles, anyplace at all. Squirrel traps come in many shapes and sizes. Catching squirrels is one of our specialties. 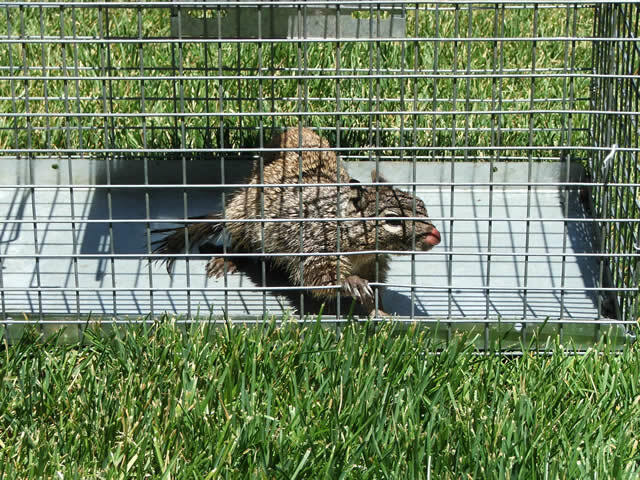 We offer complete ground squirrel control solutions. Squirrel feces quickly accumulates when you have a squirrel living in the attic. Squirrel extermination should be humane. We do not recommend the use of squirrel poison.